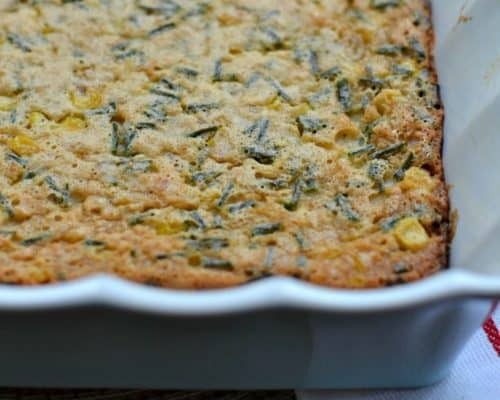 This scrumptious Corn Pudding Recipe is a family favorite and makes a perfect side for baked chicken, turkey, beef roast and fish. It comes together quickly with fresh corn, cream and eggs. This is one of our favorites casseroles and if you have fresh sweet corn available be sure to use it. Corn pudding is one of those traditional dishes that seems to make its appearance around the fall and winter holidays. Not sure why we save it just for those occasions since it is so delicious. 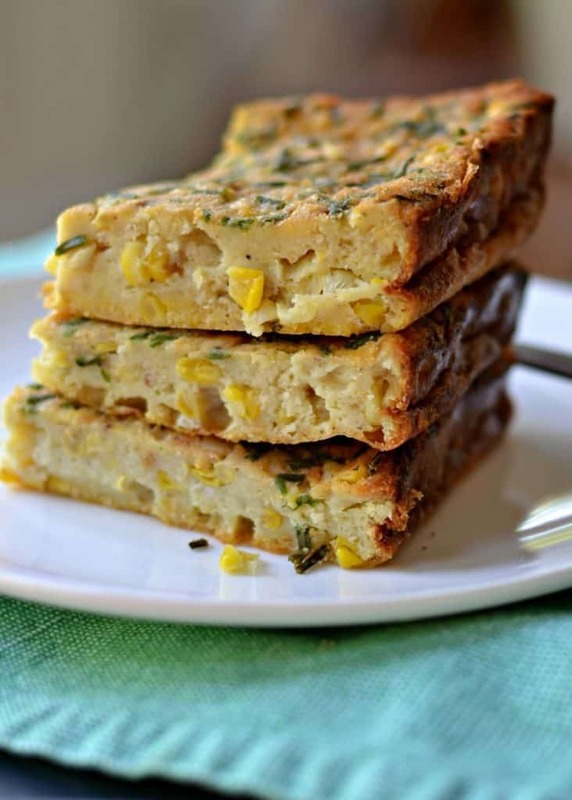 It is even more scrumptious made with fresh sweet summer corn. This casserole can be whipped up in no time and reheats like a dream. You can serve this dream dish with baked chicken, turkey, roast, ham and fish. Do you have to use fresh corn for corn pudding? No you most certainly do not. I like it best with fresh corn however for most of us fresh corn is not available year round. You can sub well drained canned corn or frozen corn for this recipe. How do you make Corn Pudding Recipe? First you are going to add a couple of tablespoons of oil to a large skillet over medium heat. Add the fresh cut corn and cook until lightly browned. Then remove the pan from the heat and add the butter and let it melt. Grab a spoon or spatula and scrape most of the brown bits off the bottom. The butter melting in the pan away from the heat will help with this. Next whisk together eggs, sugar and cream. Whisk in flour, cornmeal, nutmeg and salt. Stir in corn and chopped chives. Bake in preheated oven for about 45 minutes. If at all possible use fresh corn. Don’t forget to scrape the brown bits off the bottom of the pan. It is the caramelized bits of sugar from the corn. Don’t over-bake the pudding. Cook just until set. 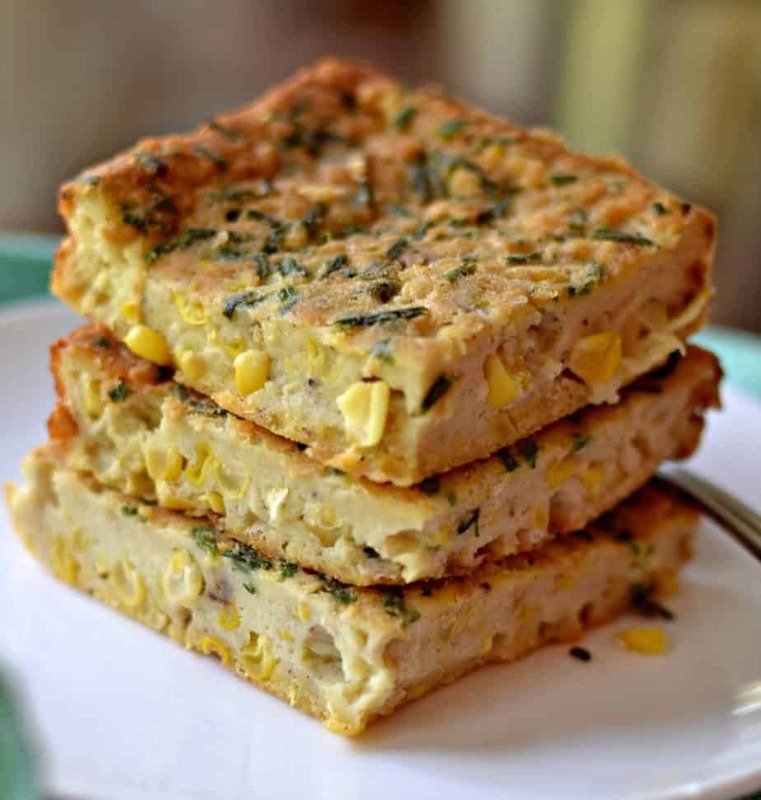 This corn pudding recipe can easily be doubled but cook it in a 8 x 11 or 9 x 13. It should not be in a deep casserole dish because it will overcooked on the sides and under-cooked in the middle. You can easily omit the chives although I like the flavor they add and I think they really complement the corn. 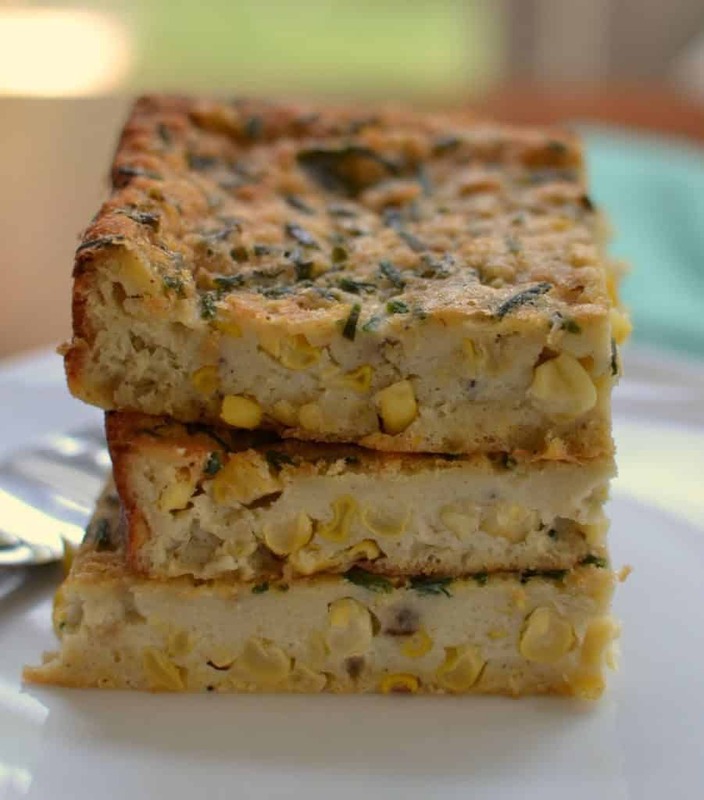 This delicious Corn Pudding Recipe is perfect for your next weekend meal. Don’t miss out on this sweet cream corn casserole. It is just that good!! 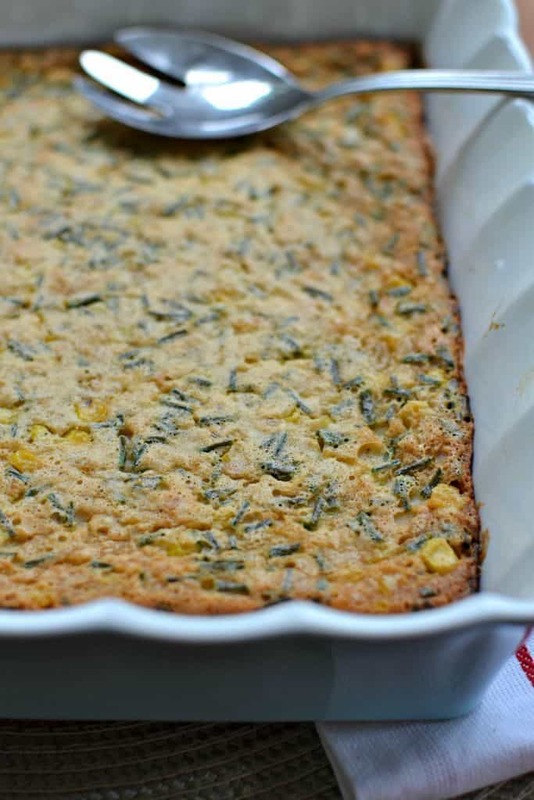 This scrumptious Corn Pudding Recipe is a family favorite and makes a perfect side dish. It comes together quickly with fresh corn, cream and eggs. Add a couple of tablespoons of oil to a large skillet over medium heat. When hot add corn and cook until corn starts to brown; approximately 10 minutes, stirring occasionally. Remove from heat and add butter. Cover the skillet and let the butter melt. Scrape the bottom of the pan to get the browned bits off. In large bowl whisk together eggs, sugar and cream. Whisk in flour, cornmeal, nutmeg and salt. Stir in corn mixture and chives.